As a loyal ON1 customer and owner of an older version, you qualify for a 20% Upgrade Discount during our Spring Sale! 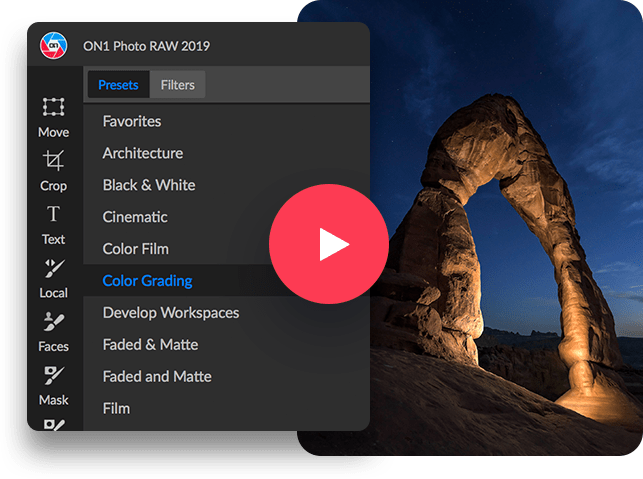 The new ON1 Photo RAW 2019.2 gives you a faster editing workflow with all of your edits in ONE PLACE - no more separate modules. You get the familiar tools ON1 customers love plus a whole lot more...new AI, more power, more automation, and better everything. 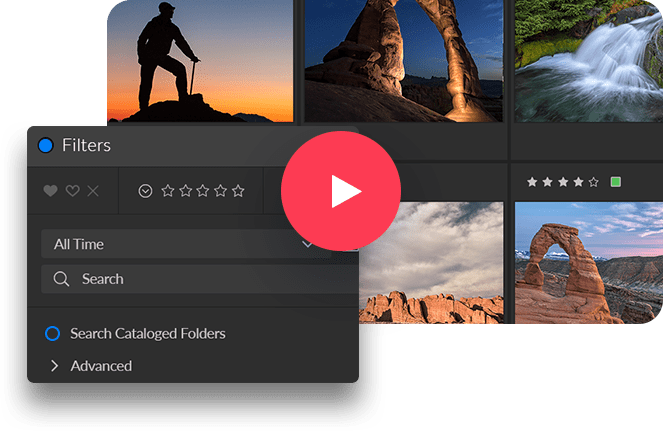 Don't your photos deserve the best? Claim your upgrade discount today! It's easy to learn and faster in every way. 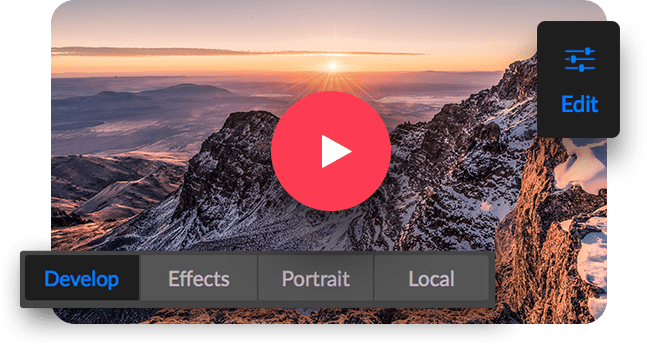 We've combined all of the modules to create a single place to do your editing. The different editing modules are now available as tabs to allow you to work in each seamlessly at once. Layers is no longer a separate module. 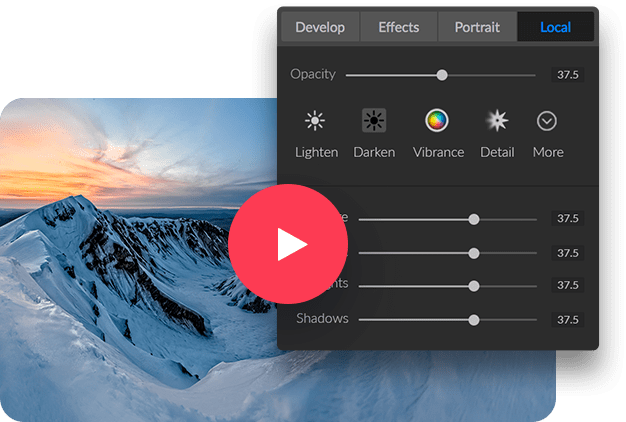 Instead, the power of layers is accessible within the non-destructive workflow inside of Develop and Effects. 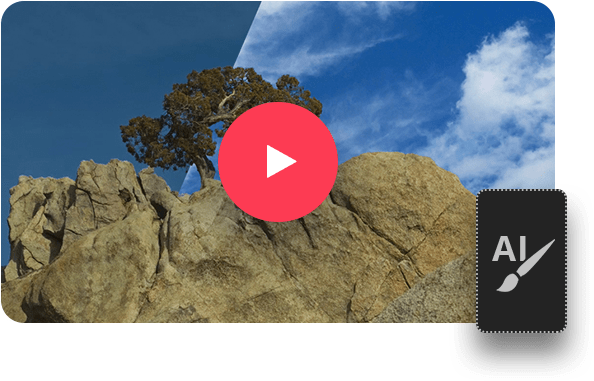 This new tool, powered by AI, allows customers to easily identify areas of their photos to create a selection or mask and the AI technology detects your subject matter and automatically creates a mask. 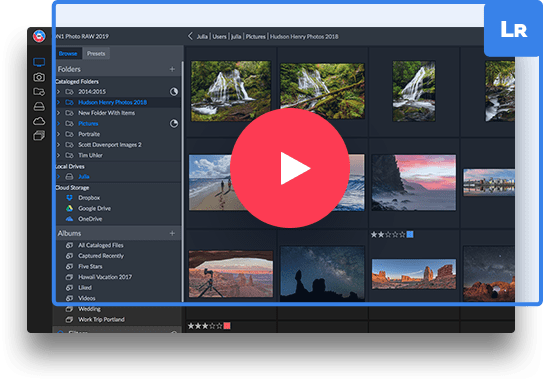 New AI-powered algorithms give customers the ability to transfer Lightroom-edited photos, keep the non-destructive settings, and move them into ON1 Photo RAW 2019.2. Perfect for creating posters, adding your byline or adding editing annotations. 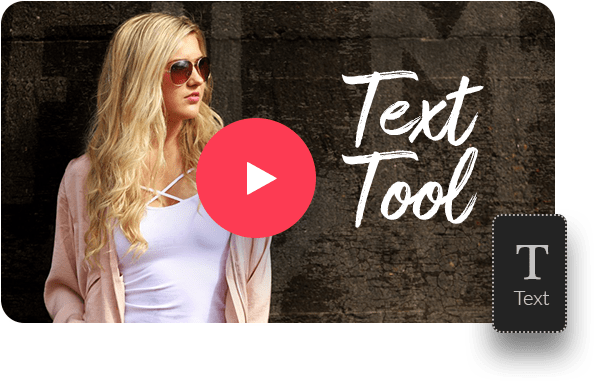 Easily control font size, color, position, and more, then save to a preset to add the same text overlay to a batch of photos quickly. Now you can see every keyword that you use in a single, searchable list. You can quickly apply, clear, edit, or delete keywords. 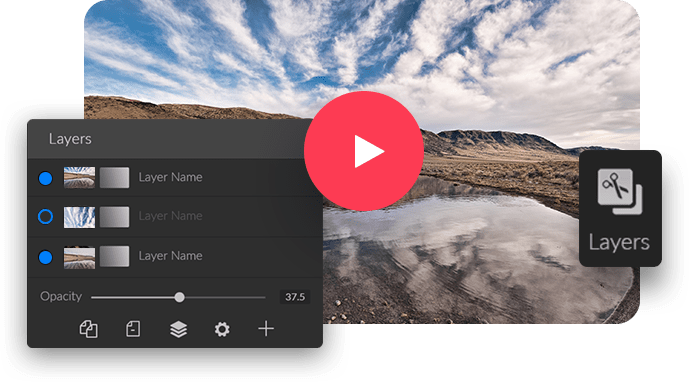 With the powerful new non-destructive layers you can combine other photos, text, or alternate exposures with your HDR photos. You can even use the powerful masking tools to combine multiple HDR renditions. 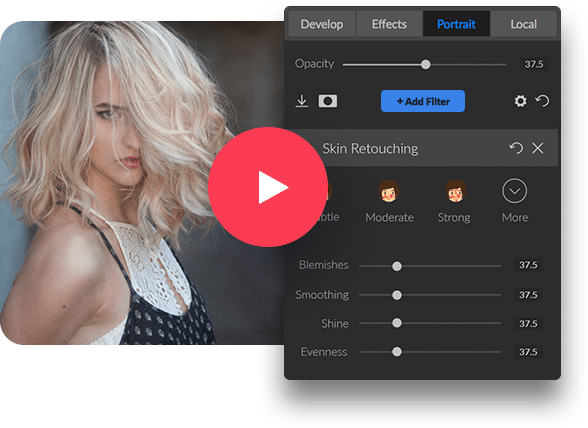 The new Portrait tools will automatically detect faces in your photo and will retouch to smooth skin, brighten and sharpen eyes, and whiten teeth. Overall contrast has been reduced to make photos stand out along with a new font to help increase readability. New icons, tabs, and sliders also take up less visual space. 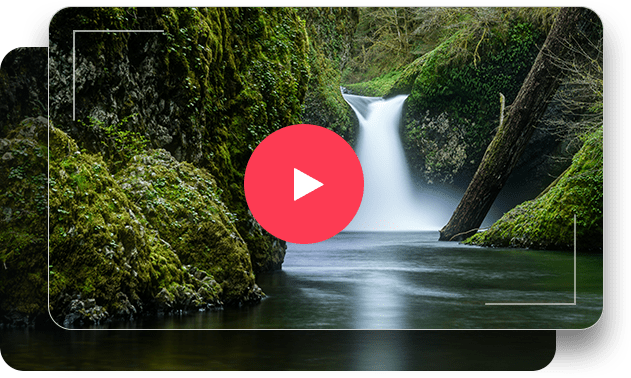 Blend multiple photos at different focus distances to increase depth-of-field. 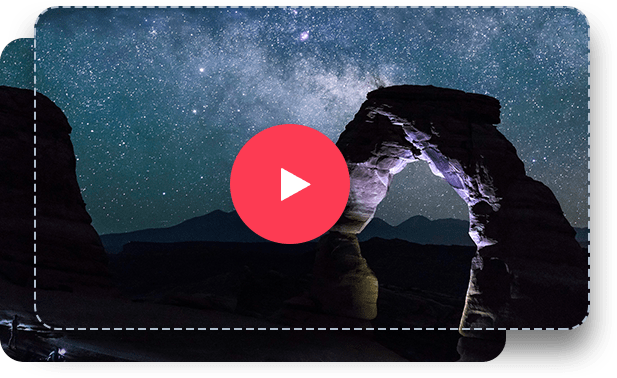 Easily combine mulitple photos as layers, then automatically align them based on image content. Local adjustments are updated to use the raw processing data. 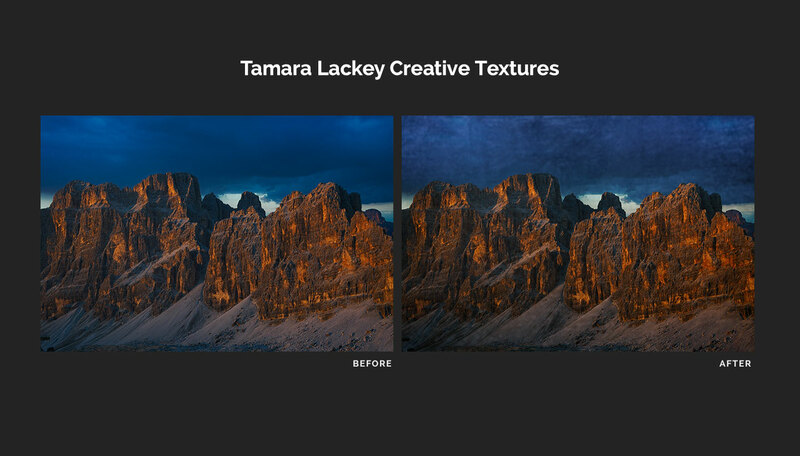 This allows for more highlight and shadow details with more tonal range. 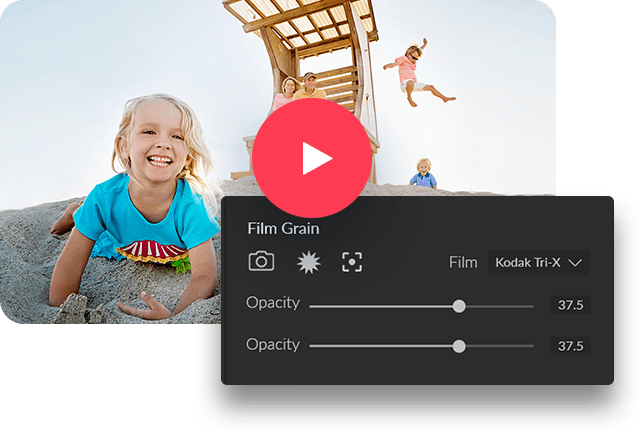 We have added dedicated film grain, curves, and color adjustment filters to Effects. There's also a new way to select and browse filters. 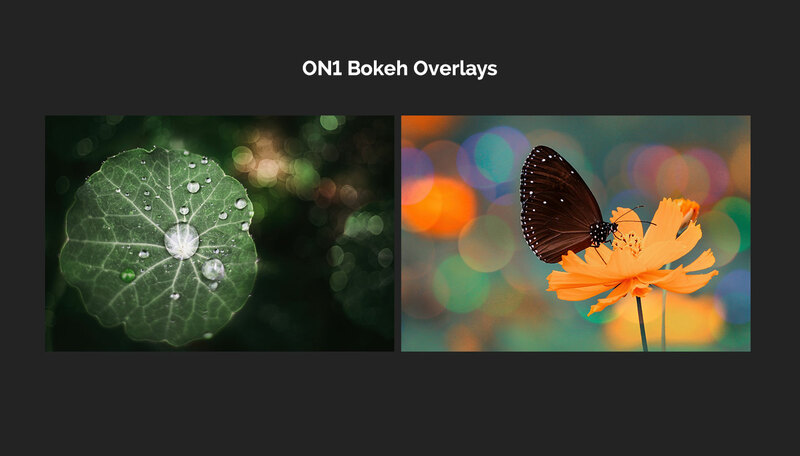 The ON1 features and tools you love, just way faster! No more jumping around between modules. New AI Quick Mask does the hard work for you. 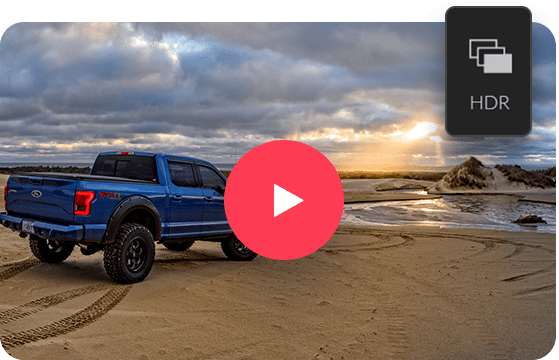 Focus Stacking, Portrait, Layers, Text, and more! New camera and lens support with each release.